Contact Dr. Energy Saver today to schedule a free home inspection. If you need more insulation, we have the equipment, expertise and materials to provide a customized home insulation upgrade that will increase your comfort while decreasing your utility expenses. 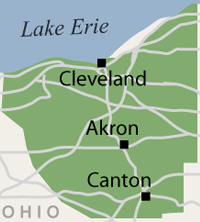 We service Canton, Akron, Cleveland, Massillon, Elyria, Lorain, Strongsville, Lakewood, Chagrin Falls, Medina, Hudson, Cuyahoga Falls, Ravenna, Bedford, North Royalton, Westlake, North Olmsted, Wooster, Painesville, Alliance, Kent, North Canton, Beachwood, Barberton, Willoughby, Gates Mills, Stow, Brunswick and the surrounding Ohio area. SilverGlo™ insulation board is a unique type of foam insulation that sets a new standard in this insulation category. SilverGlo™ is manufactured right here in Connecticut, so it’s a green, locally sourced product. Call 1-888-370-6924 or contact us online to schedule a free home inspection and insulation estimate. Dr. Energy Saver serves Cleveland, Akron, Canton, Lorain, Elyria, Massillon, Medina, Strongsville, Lakewood, Chagrin Falls, Cuyahoga Falls, Ravenna, Westlake, North Royalton, Bedford, North Olmsted, Painesville, Brunswick, North Canton, Alliance, Barberton, Wooster, Kent, Hudson, Gates Mills, Stow, Willoughby, Beachwood and surrounding Ohio areas.